A lot of time without any post, bad, bad, bad. I've been busy writing the demo for shaderX7 article, thanks to Nico for the 3d mesh for the demo ^^. 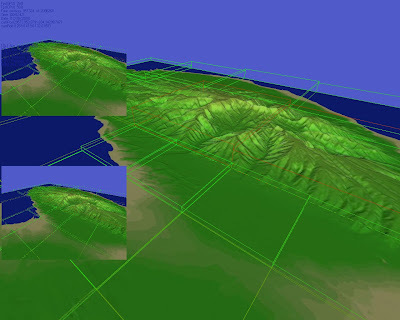 Well, I've been testing some terrain implementations: SOARX, Clipmapping but the winner by far is the chunked lod algorithm. The image above is how the technique appears in my engine. ¿A que estamos esperando para dominar el mundo?